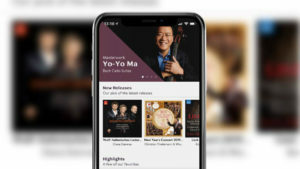 Dutch-American start-up Primephonic has rolled out the most exciting update to its app and desktop versions since the inception of the classical music streaming service. Users will now be able to download personalised and pre-made playlists for easy and convenient offline listening. Primephonic is unique in that it is built for the classical music genre by classical music obsessives. The smart search is built from the ground up to finally solve classical music’s search problem. Find the exact work, composer or album you’re looking for in seconds, and browse the results with ease. Other generic streaming services, that predominately cater to pop music, just aren’t designed to cope with the additional metadata needed to organise parameters such as composer, name of the work, opus number, key, orchestra, conductor, soloist and choir. A team of classical music experts have been manually inputting this data to ensure the optimum user and search experience for subscribers. From classic recordings to the very latest releases, the biggest labels to the most obscure indies – the definitive Primephonic catalogue has you covered, with new albums being added every day. Primephonic’s audio player streams music at the highest quality possible. If an album is available in 24-bit, that is what users get. If a connection ever drops or slows down, Primephonic dynamically adapts the audio to make sure the music never stops, unless it has already been downloaded and then the offline listening mode kicks in. 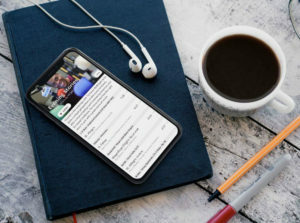 Primephonic shines a light on classical works, composers and recordings that subscribers don’t know yet, but will love. Its hand-picked album suggestions are updated daily, with new playlists covering diverse topics every week. Discovering a new favourite classical work has never been easier. When online, tracks can be streamed at either 320kbps MP3 streaming or lossless 24bit FLAC streaming. On 24th April, Primephonic subscribers will be able to download full albums of work for easy offline listening at the touch of a button. A 14-day free trial can be activated here or a full subscription activated from £7.99 a month or from £79.99 a year.